Thanks to David Hui Lai. Excellent! In 1982, working as a 26-year-old money manager, I passed on Berkshire Hathaway, which was trading at $97, because I thought it was too expensive. The price represented a 50 percent price to earnings and price to book premium to the broad market. Had I made a different decision – at the time I was sitting on a large cash position from a successful real estate investment – I would now be smoking $10 cigars and hanging out with swell chicks. I’ll wait, I thought, until it hits $60. I’m still waiting. On Friday BRK.A closed at $217,000. 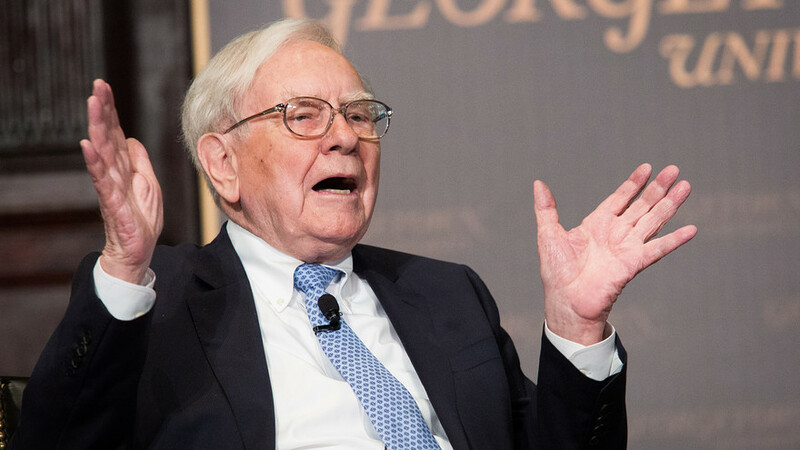 Although I was familiar with Warren Buffett’s investment record – he was widely regarded as one of the best investors of his generation, and I carefully read the Berkshire Hathaway annual report each year – he had not attained the prominence he now has. I mentioned this to Ian, and he suggested I might write about what I learned from passing on Berkshire Hathaway, and the years I worked as an investment analyst on Wall Street. By way of background, I did not finish high school. I left home at the age of fifteen and hitchhiked up into Canada’s subarctic and worked fighting forest fires and then as a forest tower lookout. The loneliness was too much for me, so at the age of eighteen I became a real estate salesman. In my early twenties I sold hotels and nursing homes, and then met with some success as a real estate investor. I became fascinated by the stock market, and a full time investor in my mid-twenties. Within a couple of years I was managing money, specializing in mismanaged, undervalued companies. They ran the gamut from companies whose stock had declined significantly, had new management, heavy insider buying, to the bonds of bankrupt or distressed companies, to companies with substantial real estate holdings, low insider ownership and minimal or no profitability. I was fairly successful at this in Toronto, acquired some major clients in New York City and in my late twenties moved to the US and started an investment research firm serving institutional money managers and corporate acquirers. I did that for five years, made some money and retired to the Adirondack woods. Overall, I was successful but my performance was extremely volatile including two years in a row down over 40 percent. Most of my investments lost money or broke even; the few winners were up so much that overall my portfolio averaged a thirty percent return. Among my clients were some of the most successful corporate acquirers of the day – Sam Zell, Richard Rainwater, Leucadia, Jay Jordan, and some of the most successful money managers of the day, Chuck Royce, Leon Levy, Michael Price, Seth Klarman, Fidelity’s Alan Leifer, Ernie Kiehne of Legg Mason (Bill Miller was Ernie’s assistant at the time), George Soros — about 100 money mangers paid my firm $20,000 a year in soft dollars for my “contrarian research.” They followed my work because I studied, in an in-depth way, companies not otherwise followed by analysts. Much of what I learned I learned from watching extremely successful investors make and lose money. And from losing my own money. Lesson 1: The role of financial markets is to take money away from mediocre and underperforming companies and put it in stable, growing, high return on capital companies. Money has an almost metaphysical attraction to places where it is put to careful, good use. You can fight that trend, and invest in companies, for instance that are deeply undervalued and mismanaged – and some people are successful investing in the dregs – but very few over the long term. To use a whitewater kayaking analogy, freshwater seeks salt water, and you can fight that if you want, but paddling upstream eventually is likely to become highly problematic. The approach that’s worked best in my experience is investing in high return on capital, low debt, growing companies that have the ability to reinvest earnings in the business and generate high returns on those reinvested earnings. The power of compound interest is so profound (mind-boggling really) that over time, returns in investments in those companies are enormous. The trick is finding companies that are compound interest machines. I remember Leon Levy, founder of Odyssey Partners, once telling me that John Paul Getty became the wealthiest man in the world by achieving a 17%percent compound rate of return, on average, over his career. As in the case of Berkshire Hathaway, trying to invest in those companies based on an analysis of value is more likely to result in opportunities missed than it is make money. An approach that is much more likely to be successful – investing in high quality companies after a market decline of thirty percent, and retaining the liquidity to build positions in those companies after a fifty percent decline in the broad market averages. That takes extraordinary patience, which is a matter of personality. Lesson 2: I’ve worked for two extremely successful investors who were experts in cyclical, commodity-dependent, capital intensive industries – real estate and mining – and learned that almost all of the real money made in those areas is made only by extremely patient investors who invest once every ten or twenty years, liquidate their holdings once a decade and spend long, long periods of time in cash. One of those investors, Pat Sheridan, an owner of mines all over the world, once said to me that the classic business mistake was to be fully invested at the top of the market. The objective, he said, was to be liquid at the bottom because business cycles are primarily caused by the creation and destruction of debt. Those are functions of greed and fear, in other words of emotions. He built inventory (by buying mines) during times of low demand, and sold them during times of high demand, including one for $10 million in 2011. Managing cash is crucial to his strategy, he told me. When oil or real estate prices increase, money flows in to take advantage of what appears to be above-average returns. Overcapacity results, prices decline, debt can’t be serviced and gets converted into equity or otherwise written off, capacity declines and within a few years commodity prices begin to recover. Then the whole cycle starts over again. The swings are unpredictable in terms of duration, but successful investors in those areas look for opportunities after a major (20 percent or more) capacity reduction in an industry, when the debt of the bottom thirty percent of companies in terms of quality of management and assets no longer exists and the debt of mediocre companies (the next ten or twenty percent of companies) trades at pennies on the dollar. Three approaches, I’ve observed, work best over time: investing in the low cost producer with a durable cost advantage, investing in premium assets such as well-located real estate, and buying debt at pennies on the dollar after an industry wide collapse. All three strategies are most successful after a severe market decline when emotionally it is difficult to do. The approach that almost always results in disaster – investing in cyclical stocks based on P/E ratios. Cyclical stocks are cheapest when, industry-wide, companies are losing money or have very low earnings, and most risky when they have low P/E and high price-to-book ratios. Lesson 3: Most successful investors share some common personality characteristics. They have superior analytical skills in at least one important area of investing. This results from an obsession with investing. They are students of the art. Ian, your commentary on this subject has helped me really focus on what I think I do better than most other investors. In your case Ian, I think that you have an important long term advantage in being willing to, and knowing how to, build relationships with management based on mutual trust and respect. In my case it is an ability to identify superior companies based on financial statement trends. I think. I hope. Only time will tell. My skill evolved out of the realization that I could have avoided 90 percent of my disasters by spending a couple of hours with a company’s quarterly balance sheets and income statements. Instead, I would routinely fly thousands of miles, interview management, interview former executives and directors, especially those bearing grudges, visit company real estate and local appraisers, interview competitors, suppliers, and customers. I even, on occasion, would sit in a bar outside company factories and have a beer (or two) with workers coming off shifts. I studied accounting at night, read Ben Graham’s classic Security Analysis (twice) and spent twenty years running a business with customers, distributors, suppliers, employees and, as part of that, prepared financial statements once a month. I learned what fluctuations in twenty criteria including inventory, accounts payable and receivables and gross profit margin indicate about a company’s competitive position and prospects. That makes me uniquely qualified, I think, to analyze companies based on their financial statements. We’ll see. Investing can be looked at as an emotional competition – your emotions and ability to control them versus the emotions of those you buy or sell securities from and to. A primary function of investment strategy is to counteract emotional impulses and thus survive (and take advantage of) adverse market developments. Investment performance is mostly determined by patience, risk management, a willingness to study, and what you do when things go differently than you anticipated. Those factors are personality driven. In addition to having a clear concept of what their competitive advantage is over others, successful investors, I’ve learned, incorporate into their investment strategy clear concepts of acceptable risk, what constitutes an acceptable level of inactivity and length of holding period after funds are committed. And successful investors stick to their strategy. That strategy – for instance sitting on cash, sitting on losing positions, sitting on winning positions — must be based on self-knowledge. If the strategy is out of sync with the personality, it won’t work, no matter how well it has worked for others. There are successful short and long term investors, but rarely are there successful investors who do both. A long-term investor must be a patient person. A short term trader who thrives on, perhaps needs, constant activity is likely to be an impatient person. Regardless of short or long term investor/trader, risk management is crucial to survival and success. Once again, this is a personality issue. A successful investor’s strategy will anticipate adverse market developments – will assume that sooner or later they will be wrong and will lose money. Cash position versus invested capital is perhaps the single most important area of risk management, although acceptable debt levels (both in one’s own financial structure, and the companies in one’s portfolio) is also important. Does an investor have a cash management plan that fits with the other key elements of his or her investment strategy? Successful investors, in my experience, think their cash position through very, very carefully and they pursue a strategy that mitigates risk in what is otherwise a very risky field of endeavor – investing. Depending on the stage of the market cycle, very high or very low cash positions have a major impact on portfolio returns. And on investment survival. Does and investor buy on strength or buy on weakness? Fluctuations in security prices are often determined by factors other than the underlying fundamentals of the companies involved. A stock can decline due to a major investor needing to raise cash, emotion, faulty analysis, and macro economic factors that do not affect the particular company in question. Is an investor a victim of those factors or a beneficiary? Does an investor know more about a particular company than the market? If yes, buying on weakness augments an investor’s returns. If not, returns are diminished by buying on weakness. Does an investor have the ability to admit when he or she is wrong and take action? Does an investor have the courage to buy during irrational price declines, when economic collapse is widely anticipated and discussed in the news media? Those factors impact long term returns, and they too are personality driven. Ian, I find your belief that quality companies with market caps of under $30 million are more or less immune to general market declines because they have low institutional ownership very intriguing. Regardless, I strongly suspect that investing in quality companies that used to have market caps of over $100 million, and high institutional ownership, but now have market caps of under $30 million and no institutional ownership because the market is down 50%percent, is a lower risk variant on your strategy. Whatever one’s position on that subject, an investment strategy needs to anticipate significant market declines, as well as declines in the securities in one’s portfolio, since declines have been a part of markets ever since markets were first created. Humans are emotional, therefore markets are emotional, debt results, markets collapse, and humans become more emotional. And master investors invest. Intrinsic Value: Buffett reiterates that it is not a precise number for Berkshire nor, in fact for ANY stock. GEICO delivers savings to its customers because it is a low-cost operation (source of structural competitive advantage). The company’s low costs create a moat—an enduring one—that competitors are unable to cross. Note Buffett’s comment on the animated gecko, a LOW-COST spokesperson. Unfortunately, we don’t learn what exactly caused the loss. How did Buffett miscalculate intrinsic value? Did management worsen, but if so, then how can an investor sidestep that? I believe the economics changed as customers had more in-home deliveries and other choices coupled with poor store execution from Tesco. I was disappointed with this explanation of the Tesco loss, but Buffett would reply that it was only 1/5 of 1%. 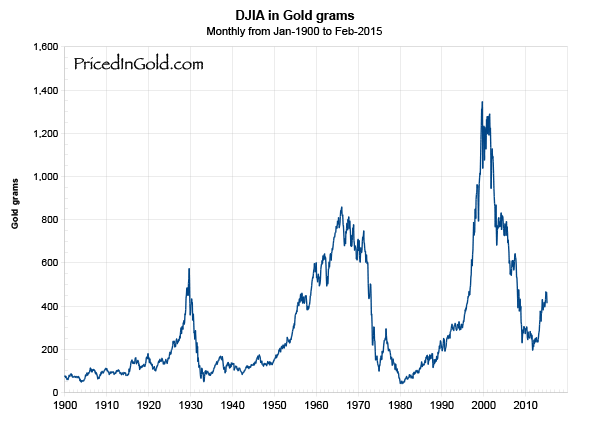 I prefer measuring in gold grams, because gold is a store of value and market-based rather than concocted by Federal bureaucrats. Stock prices will always be far more volatile than cash equivalent holdings. Over the long term, however, currency-denominated instruments are riskier investments—far riskier investments. Than widely –diversified stock portfolios that are bought over time and that are owned in a manner invoking only token fees and commissions. That lesson has not customarily been taught in business schools, where volatility is almost universally used as a proxy for risk. Though this pedagogic assumption makes for easy teaching, it is dead wrong. Volatility is far from synonymous with risk. Popular formulas that equate the two terms lead students, investors and CEOs astray. It is true, of course, that owning equities for a day or a week or a year is far riskier (in both nominal and purchasing power terms) than leaving funds in cash-equivalents. That is relevant to certain investors-say, investment banks—whose viability can be threatened by declines in asset prices and which might be forced to sell securities during depressed markets. Additionally, any party that might have meaningful near-term needs for funds should keep appropriate sums in Treasuries or insured bank deposits. For the great majority of investors, however, who can—and should—invest with a multi-decade horizon, quotational declines are unimportant. Their focus should remain fixed on attaining significant gains in purchasing power over their investing lifetime. For them, a diversified equity portfolio, bought over time, will prove far less risky than dollar-based securities. Note the multi-decade horizon. Stocks were unchanged from 1964-1981, please see page 79: A Study of Market History through Graham Babson Buffett and Others. Read what Buffett has to say about stock markets. Some say it is Time to exit because of high valuations for big-cap stocks in the U.S. market. So even if stocks decline for a decade but your holding period is MULTI-Decade, then hold tight. Tough to do, but history seems to bear his thesis out: valuing-growth-stocks-revisiting-the-nifty-fifty. I prefer to act like the pig farmer in A Study of Market History (see link above). If the investor, instead, fears price volatility, erroneously viewing it as a measure of risk, he may, ironically, end up doing some very risk things. Recall, if you will, the pundits who six years ago bemoaned falling stock prices and advised investing in “safe” Treasury bills or bank certificates of deposit. People who heeded this sermon (to panic) are now earning a pittance on sums they had previously expected would finance a pleasant retirement. (The S&P 500 was then below 700; now it is about 2,100.) If not for their fear of meaningless price volatility, these investors could have assured themselves of a good income for life by simply buying a very low-cost index fund whose dividends would trend upward over the years and whose principal would grow as well (with many ups and downs, to be sure). Investors, of course, can, by their own behavior, make stock ownership highly risky. And many do. Active trading, attempts to “time” market movements, inadequate diversification, the payment of high and unnecessary to managers and advisors and the use of borrowed money can destroy the decent returns that a life-long owner of equities would otherwise enjoy. ….Anything can happen anytime in markets. And no advisor, economist, or TV commentator–and definitely not Charlie nor I–can tell you when chaos will occur. Market forecasters will fill your ear but will never fill your wallet. A plug for Jack Bogle’s The Little Book of Common Sense Investing. Basically, Buffett is saying keep it simple, think and hold L O N G – T E R M, avoid high fees and commissions, and don’t use leverage.